Published on November 28, 2016. 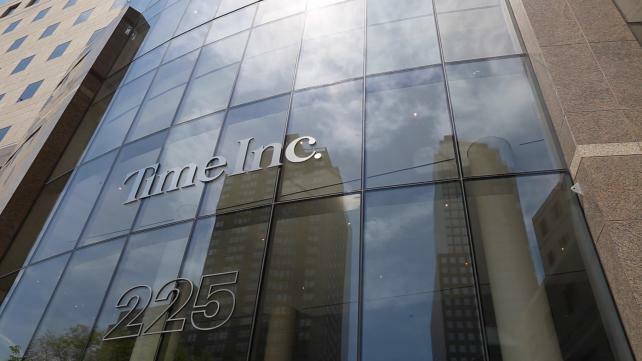 Investors Edgar Bronfman Jr. and Ynon Kreiz made a takeover approach for Time Inc. in recent months, but were rebuffed by the iconic magazine publisher, according to a person familiar with the matter. With the backing of Len Blavatnik's Access Industries, Mr. Bronfman and Mr. Kreiz floated an all-cash offer in the range of $18 to $20 a share, according to a letter reviewed by Bloomberg News. That Oct. 20 letter to the Time Inc. board outlined a resubmitted proposal for the New York-based publisher of Time, Sports Illustrated, Fortune and other famed magazine brands. The duo's bid would have represented a premium of as much as 37% over Time Inc.'s closing price Friday of $13.80. The New York Post reported earlier Monday on the takeover bid for Time Inc. The shares rose as much as 19% to $16.18 Monday, the most since the company's 2014 spinoff from Time Warner Inc.
Mr. Bronfman, Mr. Kreiz and Mr. Blavatnik have long histories together in the media and entertainment world. Mr. Bronfman, a managing partner of the private equity firm Accretive, was chairman of Warner Music Group, which is controlled by Blavatnik's Access Industries. Mr. Kreiz was formerly chief executive officer of online-video producer Maker Studios, which was sold to Walt Disney Co. in 2014. Both Mr. Bronfman and Mr. Kreiz serve on the Warner Music board. The approach for Time Inc. comes as the publisher is struggling to reinvent itself for a digital world. Sometimes-activist investor Jana Partners acquired a stake in the company this year, prompting a management shakeup. Under new CEO Rich Battista, the company is working to expand its online businesses, including streaming video, to reduce its dependence on print magazines, which are losing advertising clients to online publishers. Time is also reorganizing how it sells advertising, aiming to boost revenue by creating more custom content for sponsors and making it easier for marketers to buy ads across its magazine portfolio. Such ads -- promotional content that's designed to look like editorial articles and videos -- have become the lifeblood of digital media companies like BuzzFeed and Vice Media. Spokesmen for Time Inc., Access Industries and Jana Partners declined to comment.